Matt Strus’ Page | CTRiumph! 2018 – CTR vs CTMG Bowling Challenge & Pizza! 2018 – CTR vs CT-MG at the Slot Car Races! A few months ago I drove my TR6 all the way to Georgia….and back! The trip took me along the BlueRidge Parkway and the Skyline Drive, visiting Deals Gap, Mabry Mill and Hiawassie, the GA BMW (bike) Rally, and visiting many relatives, and friends along the way………. I saved most of my packing for the last minute, like I usually do. I put the camping gear in the TR yesterday. Packed the clothes late afternoon and got everything else in the car. The boot (trunk) is full, the front passenger floor and seat is full with more stuff behind the seats. The amazing thing is ALL this stuff fits on my BMW K1200GT motorcycle when I do some extended traveling and camping. The difference being, I use a smaller tent that takes up about ½ the space and my m/c camping cot uses about 1/3 the space otherwise it’s pretty much the same load. Still very concerned as to whether the car will make the trip without breaking down along the way. Dave, from D&J, keeps assuring me “it will be fine”. Dave has seen the Blue 74 TR6 quite often over the years and I hope has a good idea what it can and cannot do. To ease my worries I have decided to head to Front Royal, VA by way of the Delaware River Gap. That gives me about 135 miles of highway driving to see if anything will fail on the car and still be close enough for a AAA tow/flatbed home if needed followed by some slower speed back roads and back on the highway if I’m more confident in the car. A restless nights sleep. Finally got up and started my day at 7am, been tossing and turning since 5:30am. Brought out the last of whatever to the car and waited to leave until after rush hour traffic passed. I had taped a note to my door, “call forwarding”, a last minute thing I needed to do. *72 then enter my cell number, done. A few minutes later a neighbor calls my house phone to wish me a safe trip and the house phone rang, it didn’t forward. *72 punch in the cell number and it still didn’t forward. For the next 45 minutes I’m on the phone with Frontier trying to get it straightened out. I had been paying for the availability of call forwarding BUT it had never been “switched on” at Frontier and I had never used it before. I had been hoping to leave about 9am, got out at 9:30. The roads are wet, a light mist in the air, doesn’t qualify as raining but the top is up and the windows are rolled up. The TR burns a little oil, burns quite a bit more over 3,000 RPM so I’m traveling down the right lane at about 60-62 mph, top speed. The wipers on my car are pretty sad, but the RAIN-EX works great. Gotta open the windows a little, the smell of oil and whatever burning off the motor is irritating my sinuses. At my first stop in Port Jervis/Milford PA, 125 miles out, I check the oil. Looks good, still clean and hardly went down on the stick. Starting to feel a little more confident in the car now. Down I-78, to I-81 to Harrisburg to Hagerstown, MD thru West Virginia to a REALLY NICE CLEAN AND OPEN rest area just over the Virginia line. Uneventful trip until on I-81 just north of the PA/MD state line a car pulls into traffic from a dead stop from the breakdown lane in front of me. The brakes on the TR6 are NOT at all like new car brakes. I ended up passing her on the right side in the breakdown lane between the guardrail and her passenger door. I think she was surprised to see me in front of her coming from where she just was! It’s after 6pm but Front Royal, the town where Shenandoah National Park and Skyline Drive actually start is about ½ hour away. I’m gonna go for it! Found a “mom & pop” motel walking distance from food and groceries. Done for the night. Hostess Cupcake and water for breakfast, on the road by 10am. The entrance to Shenandoah Nat Park was about 3-5 miles away. When I left home, I couldn’t find my “senior National Park pass” so I had to buy another at the park entrance for $10, otherwise the fee into the park was $20 for me and my car. I put the top down after I got some sun block in the park store. Must be early in the season for unlike past experience there was no long lines of slow moving motor homes or packed roads. For 95% of my travels thru the park, I had no one in front of me. It is easier sharing the road with A LOT of bicycles rather than cars, hardly anyone coming the opposite way so just give them a wide berth and pass them. Putting along at 35mph listening to Nilsson’s “The Point” makes for a great day. The Kinks “Muswell Hillbillies”, Queens “Greatest Hits” plus some other CD’s and the scenery make for a nice day in the park. Upper 80’s and sunny. A lot of standing dead trees, looks like a forest fire happened some years ago, I remember the news mentioning an ice storm damaging a lot of the trees in the park a number of years ago as well. About a 120 mile drive today, some scenic overlooks faced East, some faced West, depending on which side of the mountain crest the road was on at the moment. For the 2nd time in my travels ever, my motel room had a hot tub/Jacuzzi in it. The jets felt good on my old bones and muscles. AND the call forwarding from home worked. Today I saw a BRG MGBGT as well as a white/pearl TR8 during my travels. I allotted too much time for the trip, so I guess I can poke along and stop more often along the way. Blue Ridge Parkway is several hundred miles shorter than I figured from Map quest. Having planned an average of 35mph, the speed on Skyline Drive (and enforced by Federal Park Police), it turns out the Blue Ridge speed limit is 45mph and some 300 miles shorter than I figured. I still find myself doing 35-40 mph anyway, hey, there is little to no traffic and I’m not in a hurry. I remember barreling down these roads on my motorcycle at some 55-75 mph, but I was in a rush to be somewhere at a certain day/time. I found the roads a lot rougher today, as in I was dodging potholes along some stretches of roadway. They were only an inch or so deep, but they still rattled what little suspension I have in the TR6. Most of the suspension is the air in the tires. Felt bad for the bicyclists riding on those skinny tires if they hit one. At one of the overlooks a couple of guys on bicycles rolled in behind me after I had passed them. I struck up a conversation about their ride. They were from VA and were riding the length of the Parkway from Front Royal, VA to Cherokee, NC. Two saddlebags mounted on the front wheel and two more attached to the rear wheel with even more stuff loaded on a luggage rack behind the seat and planning to complete the trip in under two weeks. They figured they were each carrying about 100 pounds of tent, sleeping bags, clothes, food and water, lots of water. At least 4 bottles of water that I could see was strapped to each bike. They were talking about taking turns “drafting” behind one another to ease the pedaling and taking lots of breaks on the long up-hills. They left before me and I passed them a few miles down the road sitting under a shade tree on a long up-hill grade enjoying their view, they waved as I passed. Many of the Visitor Centers were closed, too early for the season so I just meandered along enjoying the scenery. One of the reasons for just “putzing” along was some stretches of road were right along the crest of the mountain, with a view on both the left side and the right side at the same time with no place to pull off and park. Knocked off for the day in Roanoke, VA just before rush hour started but I got caught in it looking for dinner after checking in at the Colony House Motor Lodge. Top was down, sunny warm day, wonder long this will last? 141 miles today. It was almost 11 am before I left due to a great conservation with the motel manager about our travels. He was from Michigan and we traded stories about some of the places we had seen and visited. Next time I go to Nova Scotia, he said that I have to find the ships anchor that was found miles inland when a housing development was being built. The anchor was blown there during an explosion in Halifax Harbor during WW2! Overcast, but comfortable so the top was down again. It surprised me that so many of the Visitors Centers were still closed for the season. I mean the ones on the park map in REALLY BIG BOLD TYPE. Clouds and a cold front came in early afternoon, had to stop and put a sweatshirt on. A really nice day for a drive, the 6 just purring along at 40 mph, beautiful scenery flowing past, smooth roads and some music. What more could you ask for? Turns out I’m still a little ahead of schedule, so I booked 2 nights at a Quality Inn in Asheville for Mon and Tues nights. The Biltmore, Asheville Zip line Canopy Adventures, and the Botanical Gardens of NC are there. Got a little nervous when a cop pulled in behind me and followed me for a bit because I found when I loaded the trunk/boot, I knocked the light fixtures out of their sockets, thus losing the ground and not having brake or tail lights. Saw an old car from the teens or twenties on the road today. 135 miles today. Attending a dinner meeting with the British Car Club of Western North Carolina this evening, but what to do for the day is the question. A 30 min drive and I can go Zip lining? A 45 min drive to the NC Arboretum with miles of walking trails (too much walking) or about a 90 min drive to some caverns? Zip line sounds best, HOWEVER there is a 250 lb weight limit and I hover just above that. Wouldn’t want to drive out there only to be sent away. So back up on the Parkway to the Folk Art Center I go. Spent a few hours then it’s back to the inn for a nap. I go to put the car in reverse to head to the meeting, GRINDING, won’t go in, pump the clutch and I’m good to go. The clutch is ALL the way to the floor before it grabs, that’s not good. My 1968 Roadrunner’s clutch did the same thing in reverse each time just before it self destructed. Got to the meeting about 12-15 miles away and met some of the members and they diagnosed the problem. Yup, the hydraulic fluid reservoir is dry. Members are searching their trunk/boots for brake fluid; one member who lives close by went home to get some for me. Just prior to his return, another member arrives for the meeting in his 67 Jag, “yes, I have some brake fluid in the trunk you can have”. I topped off the reservoir, pumped the clutch and its back. Relief in not spelled ROLAIDS it’s spelled DOT4BRAKE FLUID! There is air in the line, so I do have to pump the clutch, but I have a clutch. Keep in mind, I’m still on my way out, won’t headed back North until Sunday. The CTMG shop rags were a big hit for the MG owners. For a club with 80 something members I was quite impressed that the room contained over 50 people. It is a pretty active group with a lot going on. There WAS an impromptu car show happening in the restaurant parking lot with all the members’ cars there. Kicked tires, told tales and thanked them again for curing the TR. I only did 32 miles today. Heavy rain and wind, some flooding in the area, hope the Rally campground is ok. Only left the house for a quick trip to the supermarket. Catching up on naptime and rest. 5 miles today. Awoke to a light rain and chill in the air. Took a drive off site to Huddle House for breakfast when the sun came out. Still chilly most of the day, but the sun hit the tent, it warmed up nicely until the pitter patter of rain on the tent roof at which time it got cold again, really quickly. Didn’t win any door prizes but the steak dinner was excellent. One chooses a raw steak on a plate, goes to one of 2 3’X15’ barbeque pits and cooks their own steak to their liking, then gathers up the sides of the meal to enjoy. Again, the steak WAS cooked to perfection all the food was excellent. Oh yeah, a small tree blew down during the night but just missed a tent close by. 6 miles today. Wasn’t raining, but damp upon awaking. Had to pack the tent wet and dry it out later at Justin’s. Sun finally came out but really didn’t get warmer until much later in the day. After some 5-6 hour drive, I arrived to a barbeque at the end of the driveway. Burgers and dogs hit the spot. Set the tent up in the back yard to dry, will repack it Monday. 250+ miles. Justin was out on the road early. Virginia was working 2nd shift today so we spent the AM together then out to lunch. Nice and sunny today, set the tent up in the backyard to dry for the repack. With Virginia off to work, I headed off to see Orville and Tina, I was best man at their wedding some 40+ years ago, and they were only some 5-7 miles away. Sunny day, visit with friends and a home cooked meal, what more could one ask for? Gotta mention “Shiny”, my new old friend. Met her as a pup several years ago, she is an 80+ pound pit bull with such a happy and friendly disposition, so loveable! Everyone had gone to work early, Justin to drive wherever, Virginia to open at work and Matthew off to school, leaving me and my dog Arrow (excuse me, their dog Shiny) all alone in the pointless forest to prepare for the next part of the journey, the trip to Helen and Robs. I got on the road about 10:30 with a little over 100 miles to get there with a soft rain failing and the wipers still working. Most of the drive was a two lane road, when a tractor trailer passed in the other direction I was grateful for the Rain-Ex I had applied. With as many breaks as I took, it was some 4 hours to cover 111.6 miles to my destination point. I was listening to Nilsson’s “The Point”, can you tell? A relaxing day, just visiting and catching up with family with a family dinner that evening. Before I left I had contacted our cousins in Warsaw via e-mail that I would be at my sister’s home on or about the 8th or 9th and set up a Skype call time, 9pm for them and 3pm for us. Saw my niece, who is in her last year of residency to be a doctor, where they were going on their next “Holiday” — sailing in Greece with friends, and they were hoping to visit CT in late summer/early fall. The video call lasted over 3 hours with only 3-4 disconnects, GREAT AFTERNOON! Up early, 10:30 or so, found a “Auto Zone” got an oil filter and oil, went to my nephews Jiffy Lube and had an oil change, almost 2,000 miles since my last change. Topped the engine off with 3 quarts so far on this trip. Rob and I went to the Telke’s for dinner and conversation, Helen had to work. When I was there last, they had just moved to North Carolina from Connecticut, and we were walking around boxes yet to be unpacked! Beautiful home, nicely decorated with friendly folks living there. 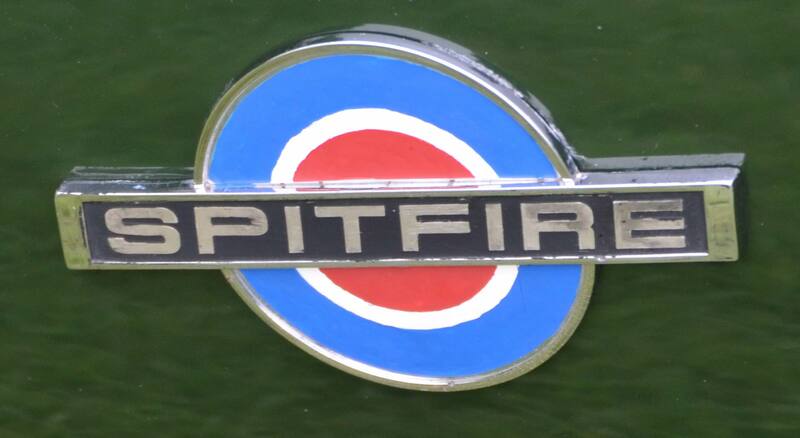 Some talk about the Triumph Club back home, the British Car club they belonged to and how it’s too hot to drive the TVR in the summer down there. A lot of glass in that car! The Triumph Renown was nearing its final stages of restoration and looked like a brand new vehicle, just days away from starting the motor for the first time in some ?? years. Replace the steering wheel, finish the interior and done. I remember having seen the car years ago stripped down and in boxes and now it’s so near completion. Narrow, dark, unfamiliar roads, light rain, headlights reflecting off everything didn’t help my night vision driving. There was a light rain happening for the drive back to Rob’s and for the first time since I owned the 74, the brakes locked up going into a turn. Put a pucker in both our butts for a moment. Another 20 feet of skid and we may have made contact with a car waiting to pull out of the street I was trying to pull into, took my foot of the brakes and the car turned. Time to start packing for the trip home. It was mid morning by the time I got on the road, topped off with fuel next door to the Jiffy Lube where my nephew works and said another last “good-bye”. I hoped to make it to the Hagerstown, MD area before quitting for the day. Got caught up in heavy traffic after leaving I-95 along state road 17 heading to I-66 and finally to I-81. Called it a day in Martinsburg, WV. For the first time ever I ate at a Popeye’s. Fried chicken was pretty good! 383 miles (note the mileage). I was off to a pretty early start, GPS said I would be home a little after 2 pm. The weather was overcast and cool, but not raining so at my first stop I rolled down the windows and unzipped the rear plastic window. In the area of the I-287 & -I-87 junction at the NY, NJ boarder the skies started to spritz rain and opened up in earnest when one had to be in the middle lane of 5 lanes to catch the first left exit one is trying to take. It WAS several miles before I could safely pull off the highway to roll up all the windows. As slow as my wiper are, the Rain-Ex worked really well keeping the windshield free of water drops. This is where I remember why I dislike driving in NYC area, stop & go traffic for miles before getting on the Tappan Zee Bridge thereby pushing my arrival time at home back even more. There has been A LOT of construction on the East side of the bridge, didn’t recognize where I was and ended up on I-87 towards NYC, a toll road and I took the 1st exit I came to, just past the toll so when I reentered the highway I had to pay the toll again. I wanted to get on the Merritt Pkwy then to rt 8 then to I-84 to go home, BUT I learned my lesson and followed the GPS instructions. I found myself on the Saw Mill River Pkwy, did you know there are 4 traffic lights on the Pkwy? Neither did I or the person who caused the miles long traffic jam when he came upon traffic sitting at a red light, curled the trunk of a car into the back seat and pushed that car into 4 more vehicles. Would have been more, but there was only four cars in the line in front of the car he hit. It would appear he was traveling at highway speeds when he came around the bend with stopped traffic in front of him. This pushed my arrival time home even further back. At least traffic was light going thru Waterbury. Knowing there was little to no food in the house, I was craving a Blackie’s hot dog. They were closed, according to the hours on the door, they should have been open, but it was Mothers Day. The next day was the Monday CTR monthly meeting. When I went to start the TR to go to the meeting, the oil pressure gauge showed “0” pressure so I shut it down quickly. The seal at the top of my oil filter let go pumping the oil out. The “pressed” nut on the K&N filter was useless, a wrench wouldn’t grab it, a six sided socket I went out and purchased wouldn’t grab iteither. I had to use vice grips and destroyed the filter trying to get it off. Then, the new socket couldn’t get the NEW K&N filter tight enough not to leak oil at the top. I Tossed the new K&N and used a Fram filter and filter wrench to snug it up, NO LEAK. My Subaru and the TR6 use the same Fram filter so I had one on hand. Went to meeting! 02-21-19 Added 3 more photo’s to CTR Members Cars! 01-30-19 Added Bowling Challenge to ‘Upcoming Events! 01-21-19 Updated & added Lime Rock pics to CT Reliability Run Page.